No one is perfect. This is common knowledge. We all know that everyone makes mistakes. But, if this is the way things are and we accept that then why is it so hard to forgive? I think it is because there is a big misunderstanding. 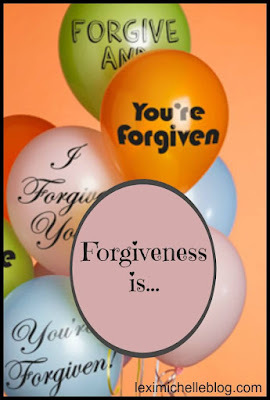 Most people don't fully understand what forgiveness is and what it isn't. ...not letting the offender off the hook. ...not letting the offense recur again and again. ...a process not an event. ...a necessity, even if they're not sorry. Just because you forgive them does not mean everything must go back to normal. It does not mean denying reality or ignoring repeated offenses. Sometimes things can't go back to how they used to be. Sometimes trust is broken and relationships are ruined. But... forgiveness is about us, not them. We are required to forgive all men, and that is for our own well being.When you don't forgive someone, it can really tear you apart. It is not healthy to keep resentment bottled up inside of you. Forgiveness is a mental choice. We can either forgive and move on with our lives or hold on to this and stay angry. We should never give this incident, no matter how terrible, the power to rule our lives. Let me make sure you understand what type of relationship we have first. 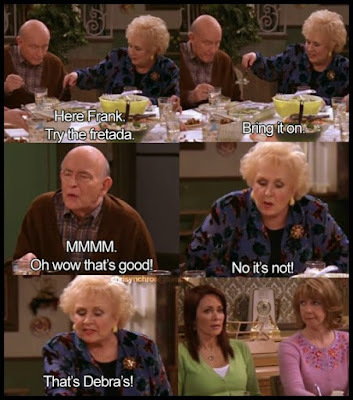 Have you ever seen the TV show, "Everybody Loves Raymond?" You know Ray's mom, Marie? and you know how her and Debra (Ray's wife) don't really get along? Well my relationship with my mother-in-law is kind of like that. It is very subtle and most people probably wouldn't pick up on it. All I am just going to say that my mother-in-law and I have had multiple instances where we disagreed. There have been many times over the past year where I felt she was out of line. There have been many times when I have felt she was actually so far past that line that I wasn't sure the relationship could recover. There have been times when I have been fuming mad because of something that was done or said and I would dwell on it for days sometimes weeks even. Anyway, the point is, it was tough, but I learned that I needed to forgive her. It took a lot of time. I didn't want to but I did. 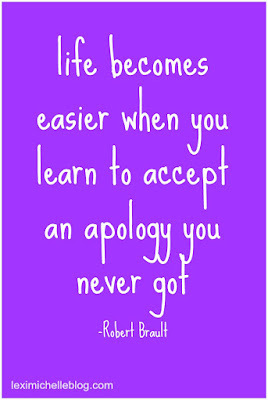 Forgiveness allows you to let go and move on. Until I decided to forgive her I literally relived the drama over and over. I was obsessed with it. I couldn't think about anything else and I hated that. I needed to forgive her for ME. I never went directly to her and said the words "I forgive you," because I didn't do it for her. And I don't know that she would ever really care to know. Forgiveness was FOR ME. It was so I could keep my sanity. I don't go over to my in-law's house very often anymore and I don't have to. Our relationship will never be the same. We don't get a fresh start or a clean slate and that is okay. Things don't have to go back to normal; you don't have to be best friends with the person who wronged you even if you forgive them. Just do it for you. What a tough situation. And you are forgiveness is not easy. 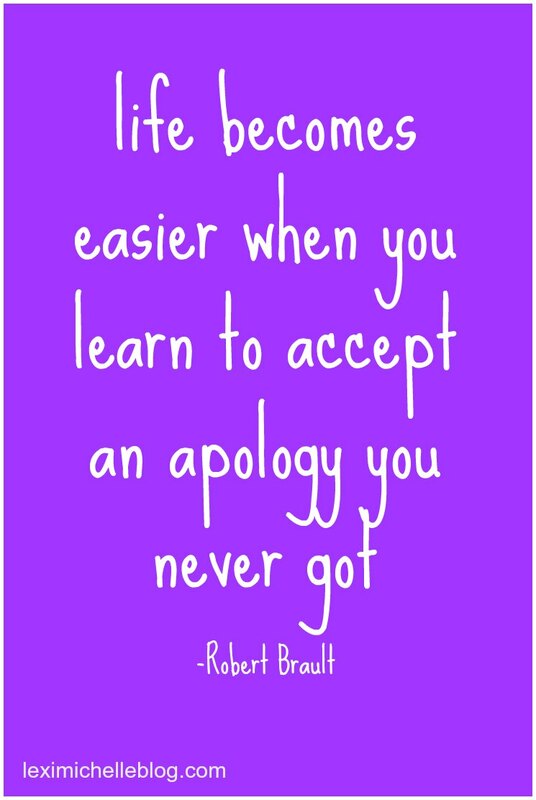 It's hard, every single time we are called to forgive. Good for you though that you were able to walk through it and try again. 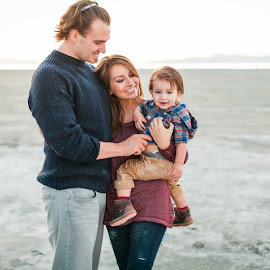 I hopped over from Simply Graced link up, and I'm so glad I did. Just barely saw this! Thanks for stopping by! I'm adding your link up to my calendar! See you then! "Forgiveness is a choice, not a feeling." Even though you've forgiven someone, that doesn't have to mean you're okay with what they did. Just that you choose to continue loving/accepting them anyway! Joined you from the Link It To Me party, thanks for linking up! Yes! I definitely agree! Thank you for stopping by!